Check out our menus and join us at RED Steakhouse for lunch or dinner and enjoy some culinary delight! 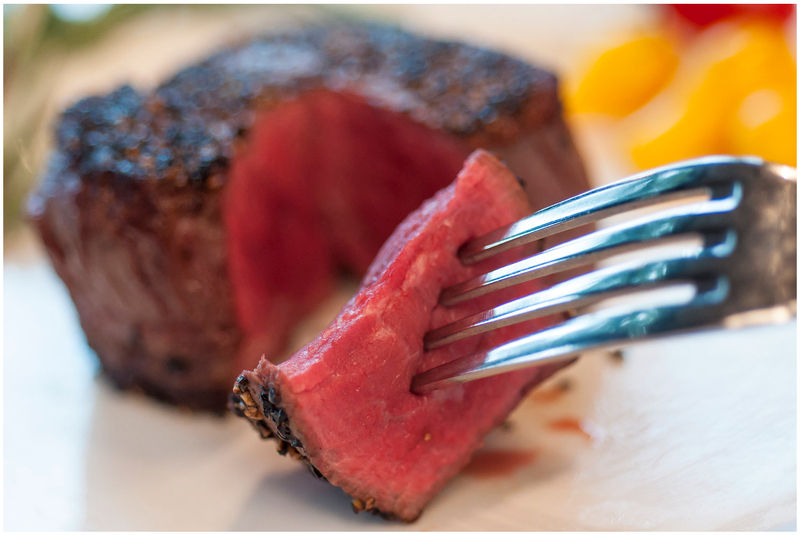 Steak, seafood, wild game. . .we have something you’ll love to eat! We proudly serve 28 day wet-aged, Certified Angus Beef. Choose from a variety of cuts and sizes. Further enhance your taste buds by adding a sauce or choosing from other add-ons like shrimp, bleu cheese or caramelized onions. Whether it’s wild salmon or fresh walleye, our seafood is flown in every week and never frozen. Our extensive menu has a variety of flavors and combinations, from burgers and salads, to one-of-a-kind specialty entrees, and our signature sides. Pair your favorite dish with the perfect glass of wine, choose from over 90 labels. If wine is not for you, take a look at our vast beer and spirits list. You are bound to find something just for you.